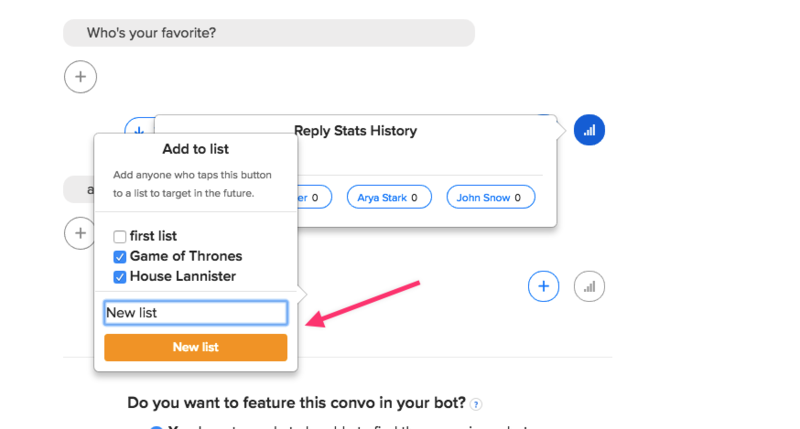 Lists are a very powerful feature that you can use for targeting customers when sending Broadcasts to customers or when creating Flows. In order to create a new list: click the Create list button>Add list name and choose list type. *By selecting the Targeting type, you need to set targeting for that list. Learn more about targeting in this article. Please note that followers can be added only to Manual lists. In automatically-generated lists, you cannot add or remove followers manually. 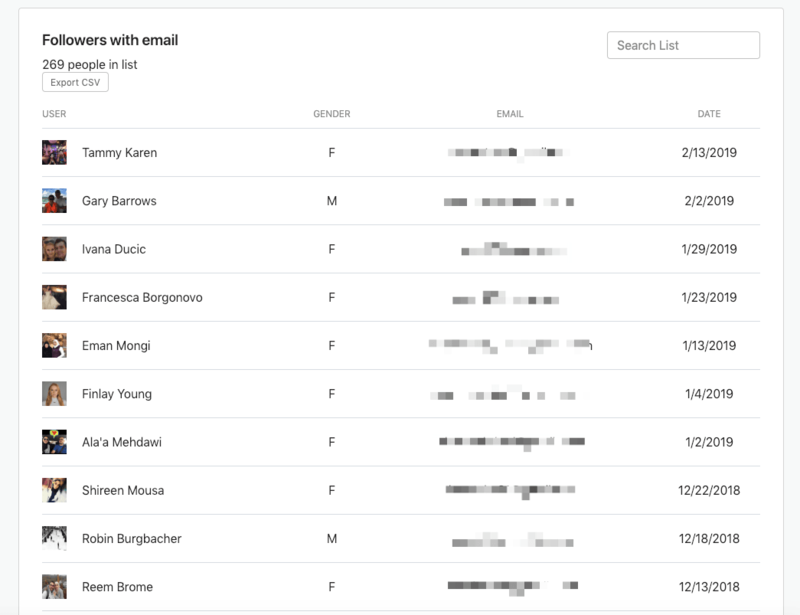 When you open a list, you will see everyone on the list, along with their gender, email (if provided) and the date they were added to that list. ie for all followers the date they started following the bot. 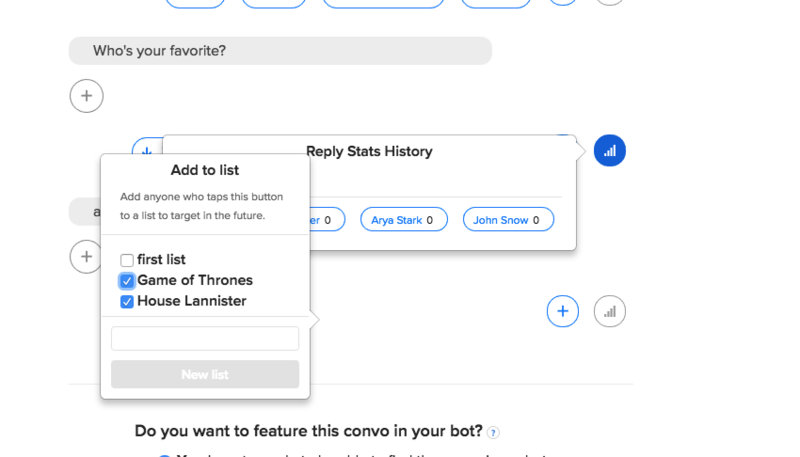 In automatically-generated lists, customers are segmented based on their decision data -- the replies they choose in a convo. You can then later use this to send targeted messages and flows to these customers. For every reply button, you can choose to add people who tap that button to a list. It can be an existing list, or you can create a new one. We recommend naming the list in a straightforward way so you remember it later (your end-users will not see the list name). Choose the reply you wish to add to a list by clicking on the button's stats. Also, you can create a brand new list for that button by adding the name and clicking on the New list button. We are working on a feature where you will see more info on every follower individually, this feature will come soon. Check out the following videos to learn more!